This is Halloween, this is Halloween, Halloween, Halloween! Join us for our 6th annual Halloween Bash on October 27th. We’re back in the heart of downtown at MJ O’Connors (Park Plaza, NOT the Seaport one). 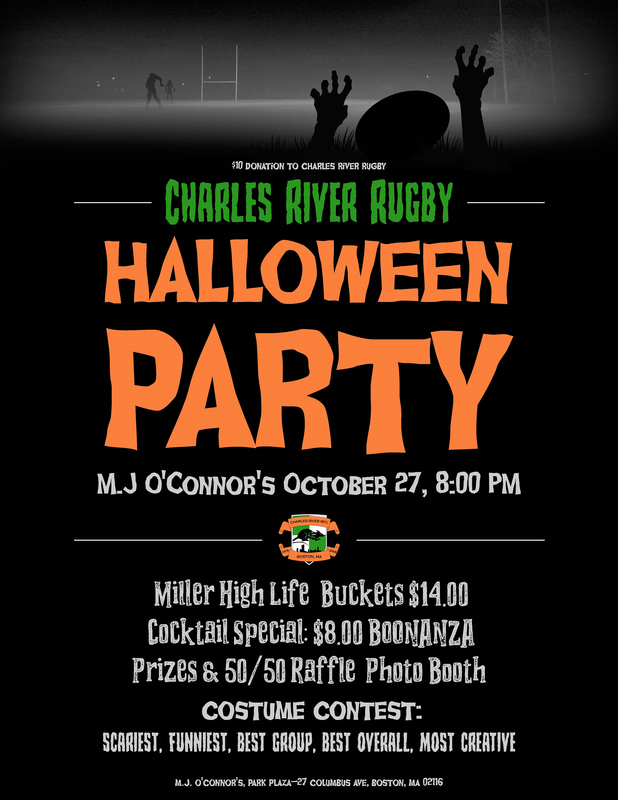 $10 donation at the door to benefit Charles River Rugby. A +21 event.